Express Zip Software for file compression. 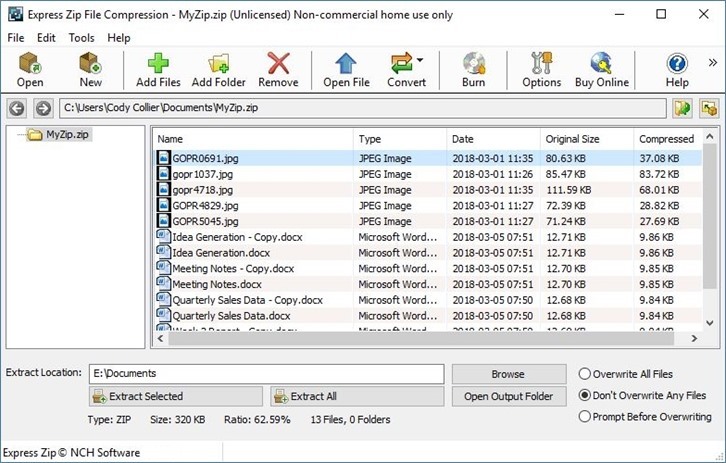 Express Zip is an easy to use archiving and compression tool to create, edit, manage and extract zipped files and folders. You can compress files to reduce size for email transmission or conserve disk space. Also convert other files archives to zip files to easily open and extract from rar, tar, 7z, iso and more. Fast and efficient file zipping and unzipping lets you create zip files of your important documents, images, music and more to save disk space, email, or burn to CD.